FORMER soccer player Walter Mabeba (54) wants help to bust the person, apparently a close relative, who murdered his mum’s younger sister. The former Moroka Swallows and Orlando Pirates midfielder said the relative is wanted by cops in connection with the death of Zulugirl Mphyoane (64) from Phiri, Soweto. Zulugirl, he said, was a kind gogo who’d always give the relative pocket money when she got paid grant money. But the man apparently went beserk last Sunday night and killed the gogo because she wouldn’t give him money. Tenant Nonhlanhla Mdluli (38) said she overheard people shouting at each other during the night. The next day, when she peeped through the window, she noticed gogo Zulugirl was still in bed. “We broke down the door,” said the tenant. The family found a bloodstained nightdress under the bed and there were bloodstains on the floor. 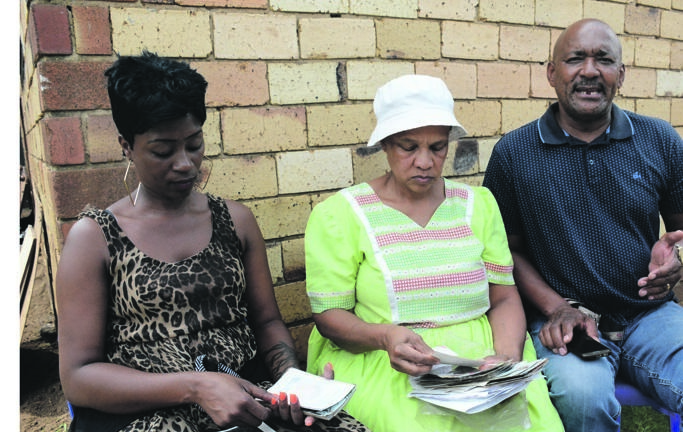 “Her killer apparently cleaned her body,” said Walter’s sister Susan Mthembu (57). Captain Mpande Khoza told Daily Sun a murder case was opened. Police were looking for the relative in connection with Zulugirl’s death.